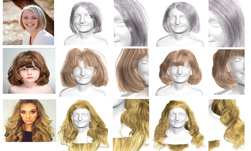 Researchers from the University of Southern California, Pinscreen, and Microsoft developed a deep learning-based method that can generate full 3D hair geometry from single-view images in real time. This is the first deep learning project that can render hair in real time, the team said. 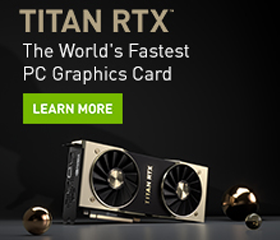 Using NVIDIA TITAN Xp GPUs with the cuDNN-accelerated PyTorch deep learning framework, the researchers trained their convolutional neural network on a dataset comprised of over 40,000 different hairstyles and 160,000 corresponding 2D orientation images rendered from random views. The neural network pipeline contains three steps, pre-processing, hair strand generation, and reconstruction. “A preprocessing step is first adopted to calculate the 2D orientation field of the hair region based on the automatically estimated hair mask. Then, HairNet takes the 2D orientation fields as input and generates hair strands represented as sequences of 3D points. A reconstruction step is finally performed to efficiently generate a smooth and dense hair model,” the researchers said. The method can handle different hairstyles, including curly, straight, wavy, and very curly. However, the team concedes their method isn’t perfect. In future work the researchers say they will focus on amplifying their dataset with more hair types. The work was recently published on ArXiv.